If someone would have told me a year ago that I would be spending hours crocheting, searching online for patterns, and reading blogs devoted to crochet, I have been skeptical. My previous experiences with crochet ended sometime in the fifth grade. My oldest sister knew how to stitch granny squares and made afghans and ponchos. She was eighteen and very cool and I was ten and wanted to be cool too. 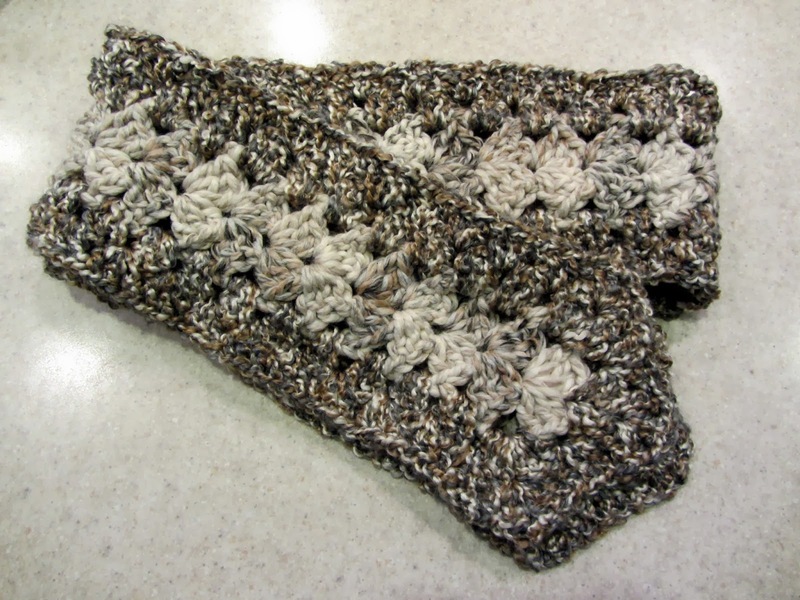 She taught me how to make slip knots, chain stitches, and single and double crochet stitches. I could never quite follow how she made granny squares. I did make a navy scarf for my dad for Christmas that year. It was row after uneven row of double crochet. It was sort of a mess, which is not surprising considering I had no idea what I was doing. But I finished it. And I learned that in order to crochet better, I needed help or a book or something. The patterns in the books from the library were written in what seemed like a foreign language. After the scarf, I put away my hook and went back to sewing and macrame and decoupage. Fast-forward forty years and crochet has become my therapy. Thanks to many generous and talented crocheters who post tutorials on YouTube, I finally know how to make a granny square--and a whole lot more. daughter for Christmas this year.